British Family Tree Research. Vast Collection of Edwardian Postcards. 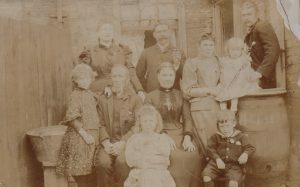 British Family Tree Research can help you to find your lost family! 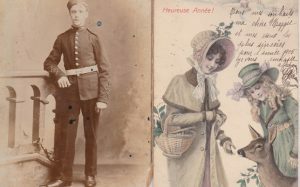 We have thousands of Postcards, Letters, Documents and personal items for sale, why not find out if we have an item from your family history? British Family Tree Research has been a fascinating interest for many years. Finding past family that have been forgotten brought back to the attention of the family. Customers can research the lives they lived, their occupations, where they lived, and what they had owned. For many years I’ve been studying family trees and have collated an enormous amount of valuable information in this site. The website has in the form of Documents, personal items, Postcards and Letters a vast collection. The collection is being added to on a very regular basis. The site is available here for you to discover long lost relatives. Wouldn’t it be wonderful to discover an old Document, Edwardian Postcard, Medal, or belonging from a family member! Genealogists, Family Historians, House Researchers, Heir Hunters, have all found information and items on this site. Please use search box to see if there is any related items in the shop. Click on green text to show image. 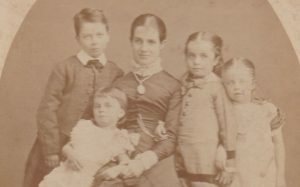 Find details of your family tree in the vast collection of British Family Tree Research. Postcards, Letters, Documents and personal items that have been scanned, with a brief description of the names and addresses. These can be purchased in our shop. The free Data base that can assist you with your family tree is being updated on a regular basis. This can be found on the name search boxes. The best option to find your ancestors is to start with the Surname first. If you are to carry out the history of your house, addresses can be found. Genealogists, Heir Hunters, and Historians have found useful information on this site. The data is being updated with more information every week. Why not start your family tree today? All documents we sell online are genuine and not copies – so you will be purchasing an original historical family item, it could be a Edwardian postcard an old document, will or probate document.. or even a letter to another family member – think of the secrets you could uncover! We also offer research into your past family creating your family tree.